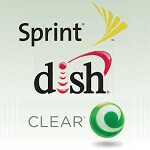 There is no two-ways about it; Sprint has Clearwire over a barrel. The struggling wireless broadband and 4G wholesale company has had a very difficult existence. Sprint, the company’s majority shareholder and only real meal ticket wants to buy out the rest of the company so that it can get on with the rest of its 4G network plans and close its pending deal with Japan’s SoftBank. That deal was proposed last autumn to the tune of $2.97 per share. Sprint is essentially using barrowed money from SoftBank to make that deal happen. However, another company with wireless ambitions, and with a lot of spectrum holdings it was just given the green light to use for terrestrial wireless usage is also interested in Clearwire. That company is none other than Dish Network and Dish is under a deadline to build out its network so buying a company with some existing infrastructure is notably more productive. Dish offered a competing proposal to Sprint’s at $3.30 per share. Clearwire’s Board of Directors continues to recommend Sprint’s proposal to its shareholders, but a lot of shareholders are not enticed by Sprint’s offer, many contending that it undervalues the company. The Board continued to discuss the terms of Dish’s proposal, which had numerous conditions. While that was happening, Clearwire’s Board said the company would not be accessing cash made available by Sprint under existing arrangements. The problem is, when you are a company like Clearwire and you have no money (the company has never turned a profit), you can only stay away from a source like that for so long. The company is planning to tap into an available $80 million trough. This complicates things for Dish because the financing is in the form of notes which ultimately convert to stock, thus giving Sprint increased ownership of the company. While sources are saying that this draw on cash is not intended to deter Dish, there is no way Dish’s proposal will be approved. It would have to be given the nod by shareholders and Sprint controls enough of the company to block that deal. Unfortunately, Sprint does not control enough of Clearwire to stop the protests from other shareholders and that is why we are seeing this drama continue.